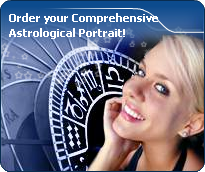 You will find below the horoscope of Jennie Finch with her interactive chart, an excerpt of her astrological portrait and her planetary dominants. Horoscopes having the same aspect Mercury square Neptune (orb 0°08'): Valérie Trierweiler, Jim Carrey, Audrey Hepburn, Mel Gibson, Gérard Depardieu, Bob Dylan, Jean-Marc Ayrault, Jon Bon Jovi, Shania Twain, Karunanidhi, Charlie Hunnam, Andrew Garfield... Find all the celebrities having this aspect. Horoscopes having the same aspect Sun sextile Moon (orb 0°17'): Angelina Jolie, Nicolas Sarkozy, Jennifer Aniston, Leonardo da Vinci, Jennifer Lawrence, Victoria Beckham, Nicole Scherzinger, Matthew McConaughey, Steve McQueen, Martine Aubry, Indira Gandhi, Bette Davis... Find all the celebrities having this aspect. Celebrities clicked on in real-time: 577,320,683 times. Born in Bellflower, California, Finch has been playing softball since she was five years old and has been pitching since she was eight. At La Mirada High School, Finch lettered four times in softball, and twice each in both basketball and volleyball. (As a senior, she was the captain of all three sports. Here are some character traits from Jennie Finch's birth chart. This description is far from being comprehensive but it can shed light on his/her personality, which is still interesting for professional astrologers or astrology lovers. In a matter of minutes, you can get at your email address your astrological portrait (approximately 32 pages), a much more comprehensive report than this portrait of Jennie Finch. Jennie Finch, the nocturnal North-western quadrant, consisting of the 4th, 5th and 6th houses, prevails in your chart: this sector favours creativity, conception and some sort of specialization or training, with helpfulness and relations as strong components. You need others' cooperation in order to work properly, although you are not very expansive: creating, innovating and thinking are what matter most to you because this self-expression enriches you and totally satisfies you. Like the majority of Earth signs, Jennie Finch, you are efficient, concrete and not too emotional. What matters to you is what you see: you judge the tree by its fruits. Your ideas keep changing, words disappear, but actions and their consequences are visible and remain. Express your sensitivity, even if it means revealing your vulnerability. Emotions, energy and communication must not be neglected; concrete action is meaningless if it is not justified by your heart, your intellect or your enthusiasm. The predominance of Water signs indicates high sensitivity and elevation through feelings, Jennie Finch. Your heart and your emotions are your driving forces, and you can't do anything on Earth if you don't feel a strong affective charge (as a matter of fact, the word "feeling" is essential in your psychology). You need to love in order to understand, and to feel in order to take action, to the detriment of a certain vulnerability against which you should learn to fight. Fire's qualities are not very present in your chart, with only 3.87% instead of the average 25%, which means that you may lack warmth, enthusiasm, conquering spirit, or energy. You may look indifferent to others, with almost no desire, no joy of life or no enterprising ability. Actually, it is not true, but you should let go, force yourself to be more daring, and show your amazement as well as your vitality. You certainly have as much energy as others, you just need to release it, and it is up to you to display more of it, since it will be all to your benefit: shout, sing, pull faces, dance! That's the right mean for you... In the end, you'll never be accused of being sad, phlegmatic or a killjoy! Air is under-represented in your natal chart, with only 2.84% instead of the average 25%. Air symbolizes the values of communication, exchanges with others, but also adaptability and flexibility abilities: if you don't get out of your cocoon to talk, to show interest in others, and to socialize, you may have problems understanding others. Because of your lack of flexibility or of your refusal to adapt yourself, you may be suddenly overwhelmed by events. You should get into the habit of talking, of phoning, and of thinking in terms of "mobility, flexibility, adaptability, change" in every circumstance. It will spare you so many troubles! Jennie Finch, the Cardinal mode is dominant here and indicates a predisposition to action, and more exactly, to impulsion and to undertake: you are very keen to implement the plans you have in mind, to get things going and to create them. This is the most important aspect that inspires enthusiasm and adrenalin in you, without which you can grow weary rapidly. You are individualistic (maybe too much?) and assertive. You let others strengthen and improve the constructions which you built with fervour. The emphasis is on succedent houses in your chart, namely, the 2nd, 5th, 8th and 11th houses, Jennie Finch: this configuration usually endows a personality with affective and sensitive qualities. Obviously, to the detriment of self-confidence or self-assertion, but your heart qualities may be very important. These houses also favour realization. Time and patience are part of their characteristics. However, they are only indications and you must include them in the rest of your chart in order to see whether they are validated or not! After this paragraph about dominant planets, of Jennie Finch, here are the character traits that you must read more carefully than the previous texts since they are very specific: the texts about dominant planets only give background information about the personality and remain quite general: they emphasize or, on the contrary, mitigate different particularities or facets of a personality. A human being is a complex whole and only bodies of texts can attempt to successfully figure out all the finer points. Affectivity and intuition are very developed, Jennie Finch, and you are very sensitive to your environment. You “feel” atmospheres, moods and other people's emotions and when you capture negative influences, a feeling of ill-being immediately overwhelms you, all the more so because your lively imagination may destabilize you as it amplifies your receptiveness. Your nature is anxious and you tend to worry for your entourage. You strive to offer them a reassuring family atmosphere, the much needed comforting and warm sort of cocoon where you can laze around, at will. Because you care so much for your family, they may think that you are intrusive and that you try to rule their life through subtle affective blackmail. Trust them... and also learn to have more confidence in yourself! You are sensitive, vulnerable and tender at the same time, Jennie Finch. When you love, you give your entire affection and your partner may in all confidence rely on a long-lasting and reassuring relationship. You are so calm and so tender that you think that it is enough to win over your partner's heart, and you are often right. However, do not mix up giving and receiving. You so deeply need to receive love in return that you may be too passive and in the long run, as you become demanding, you may show immaturity. Security and sustainability in your relationship are of utmost importance. Your family also is important, it is the refuge, even the sanctuary, where you like you hide when things go awry. You also dream of love, may be too much, and it may be detrimental to what might be concretely experienced if you were more dynamic or less fearful to get hurt. However, remember that you receive only as much as you give. The ruler of the Ascendant, Jennie Finch, is Venus. In the sign of Cancer, it enables you to grasp the surrounding ambience and impressions as if you were an emotional radar. Therefore, you may shift from enthusiasm to boredom or rejection, should you subtly sense that you are appreciated or spurned, even though your feelings are unfounded. Your iron will is part of your assets, Jennie Finch. It is supported by an ingenuity and a skilfulness that may turn you into a mighty and feared personality. You have the knack of spotting weaknesses in persons you deal with and you can easily hurt them with your innate propensity to drill or to test their force. You are extremely stubborn and you never let go when you are convinced that you are right. Sexually, you are potent and passionate. You are domineering and secretive, with a magnetic personality. It is safer to avoid being taken in a conflict with you because you may be very aggressive and you bear grudges. In some cases, you may also be sadistic. Your personality is as secretive as it is domineering in the areas of action and sexuality. This text is only an excerpt from of Jennie Finch's portrait. We hope that it will arouse your curiosity, and that it will prompt you to deepen your knowledge of astrology, as well as to visit and use the wide range of free applications at www.astrotheme.com.